Hydra Cable is a powerful 3-head accessory cable which connects to Targus Universal Docks with Power to make it even easier to provide charging for different types of laptop brands and models in a desk environment. Connect the Hydra Cable to the Dock; select the power tip to fit your laptop and stay powered up. 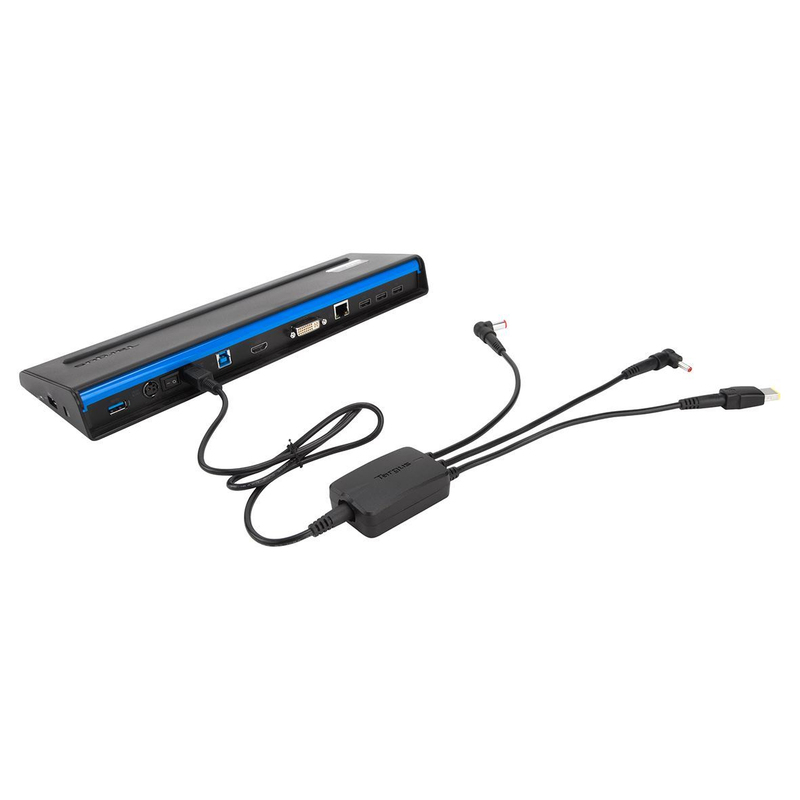 Targus Universal Docks with Power will charge the majority of laptop brands & models through a unique power tip system, the only Universal Dock to offer an integrated power solution. 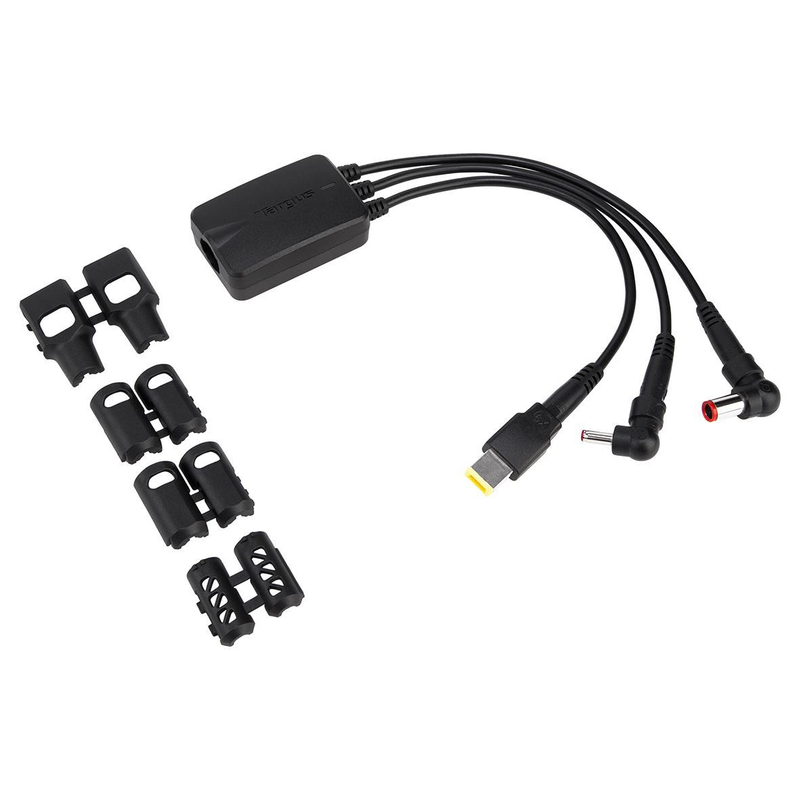 The Hydra Cable accessory can hold a mix of up to 3 different laptop power tips to support your hardware estate requirement. The Hydra Cable accessory also secures the power tips to the Dock, preventing users walking away with it connected to their laptop and ensures the desk is ready for the next person & laptop. 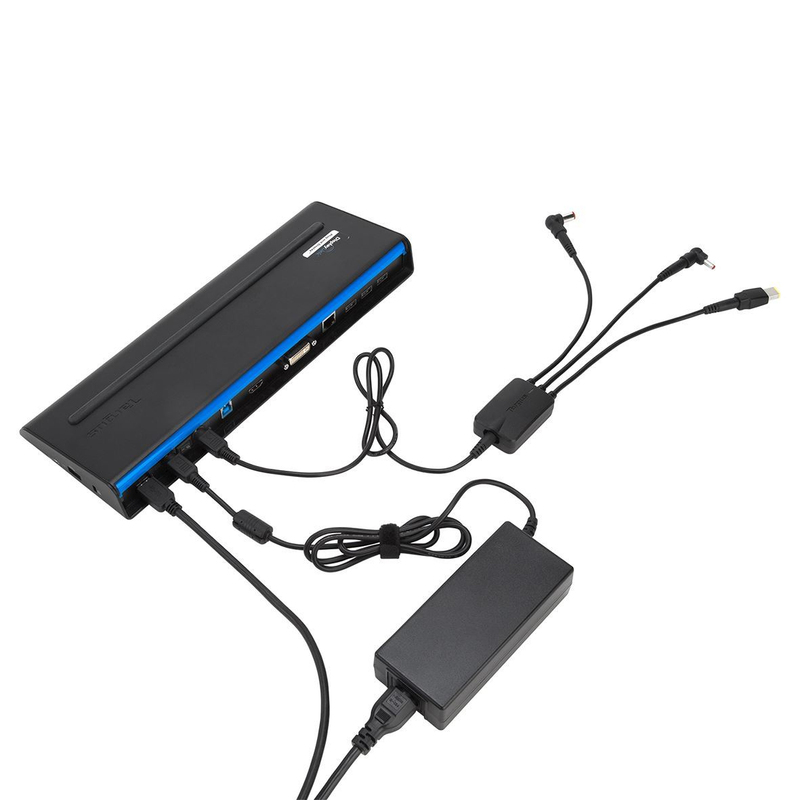 Easy to set up, simply attach 3 power tips from your Targus Dock with Power and secure them with the collars provided, reducing the likelihood of lost tips. We promise you will see an immediate increase in usage and a decrease in user downtime and support. 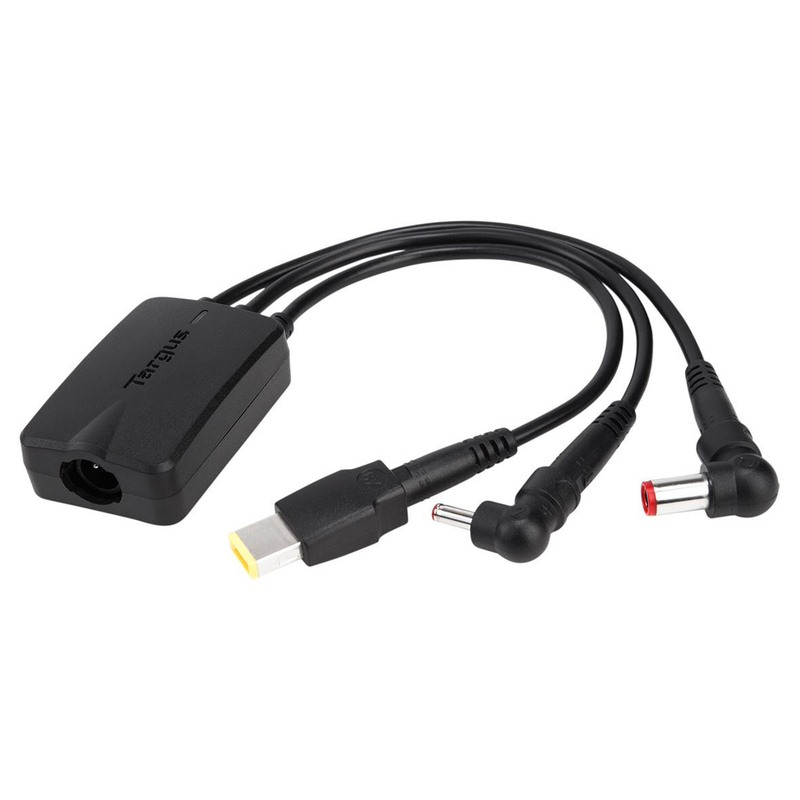 Hydra Cable is suitable for use with Targus Universal Dock with Power models ACP71 and ACP77, using on-board tips or a bespoke selection from Targus Tip Accessories.